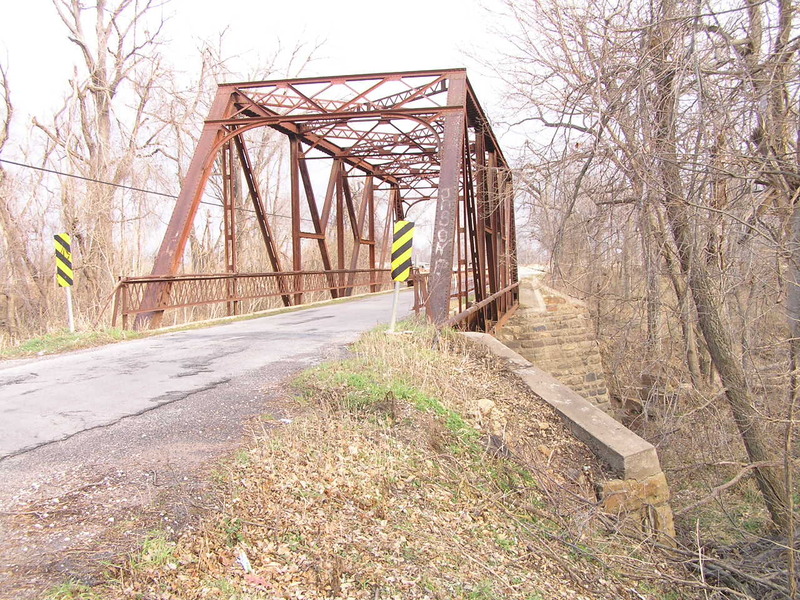 Quapaw Creek Bridge, Osage Co. 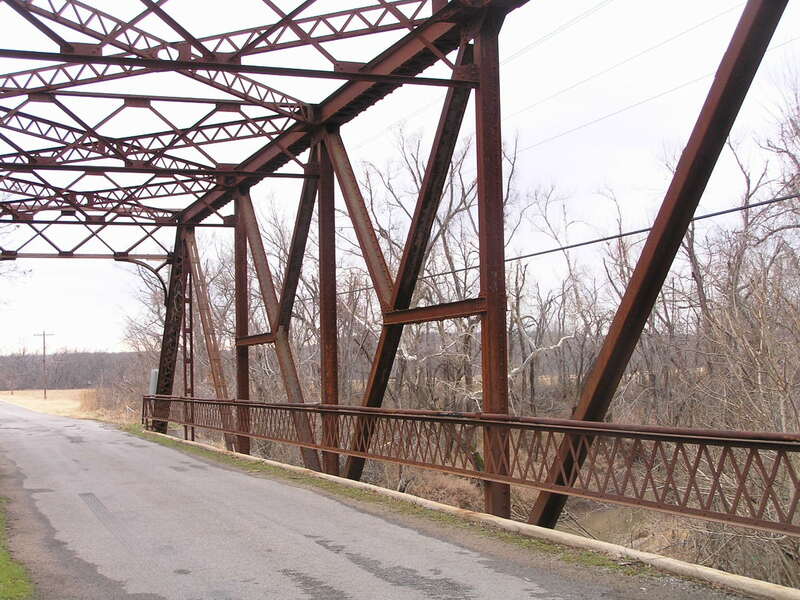 Built in 1938, this 120-foot modified Pratt truss stands west of Skiatook about 1/2 mile south of Hwy. 20 on an east-west road. Above, looking west. The bridge is very typical of this built in the 1920's, and may have been moved here in 1930, though there were a few bridges built such as this in the 30's and 40's, and this could be one of them. 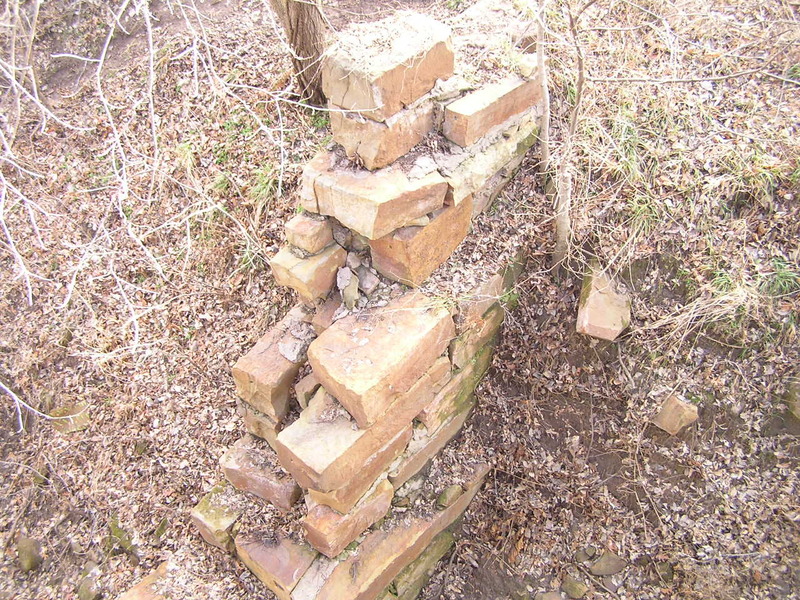 Below, this stone abutment is part of the remains of a previous bridge that crossed here. 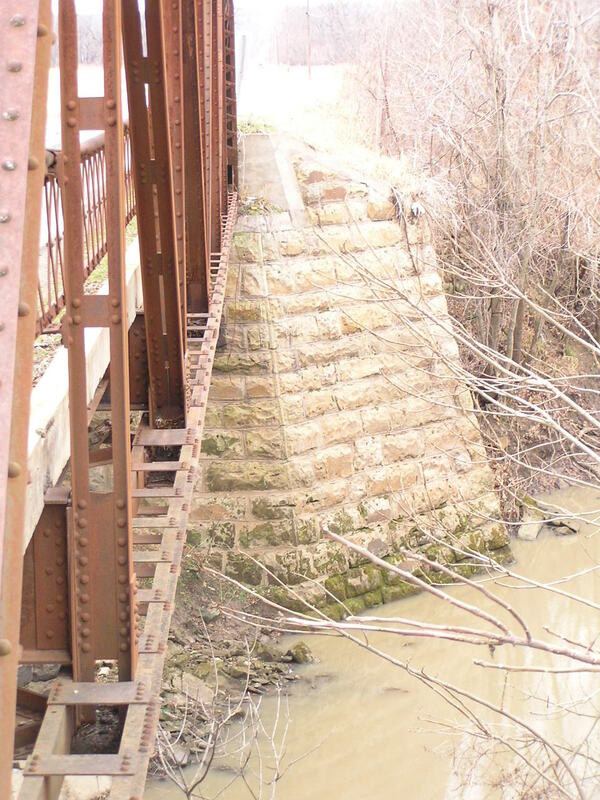 Unlike the present bridge, which runs true east-west, this earlier bridge crossed Quapaw Creek at right angles, and thus ran NE-SW. Above, the well-laid stone abutment and wing wall. Below, close-up of the truss. The modified Pratt is derived from the Baltimore truss arrangement, but does not have the panels subdivided. Above, a view looking east. 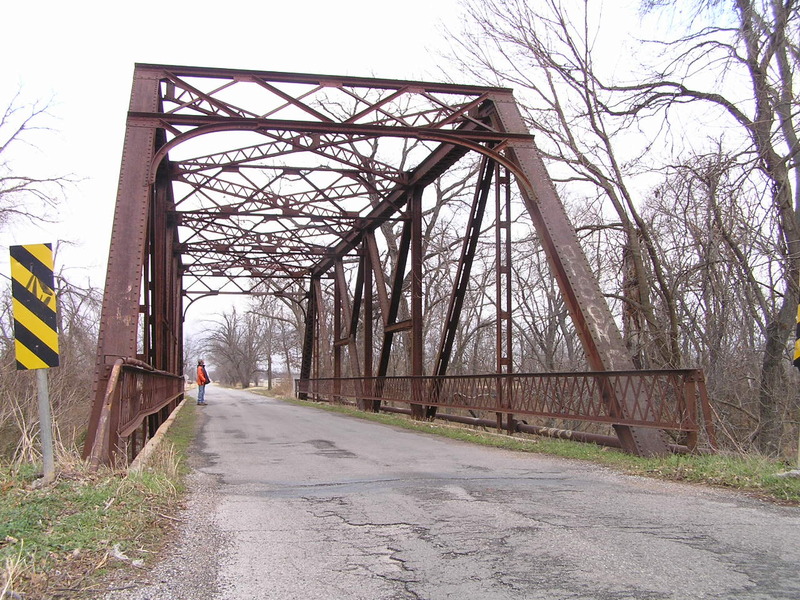 This is a well built bridge and a great example of a standard design bridge that was popular for many years in Oklahoma.